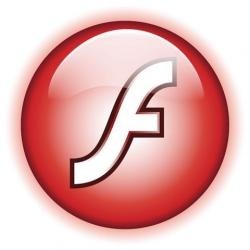 A critical vulnerability exists in Adobe Flash Player 10.1.82.76 and earlier versions for Windows, Macintosh, Linux, Solaris, and Adobe Flash Player 10.1.92.10 for Android. This vulnerability also affects Adobe Reader 9.3.4 for Windows, Macintosh and UNIX, and Adobe Acrobat 9.3.4 and earlier versions for Windows and Macintosh. This vulnerability (CVE-2010-2884) could cause a crash and potentially allow an attacker to take control of the affected system. There are reports that this vulnerability is being actively exploited in the wild against Adobe Flash Player on Windows. Adobe is not aware of any attacks exploiting this vulnerability against Adobe Reader or Acrobat to date. We are in the process of finalizing a fix for the issue and expect to provide an update for Adobe Flash Player for Windows, Macintosh, Linux, Solaris, and Android operating systems during the week of September 27, 2010. We expect to provide updates for Adobe Reader 9.3.4 for Windows, Macintosh and UNIX, and Adobe Acrobat 9.3.4 for Windows and Macintosh during the week of October 4, 2010.